TabLines is a remarkable provider for innovative tablet mounts worldwide. The products are inserted all over the world and feature a simple installation, a classic designs and an easy application. 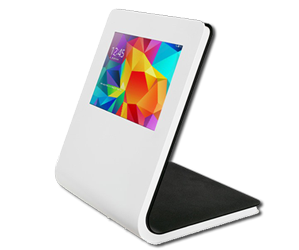 The wide range of products includes wall mounts, desk mounts or even floor stands for tablets. Furthermore protective cases for tablets can be made theft-proof or screwable. 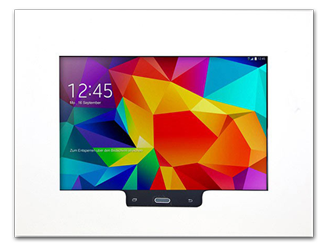 The tablet mounts are suitable for Apple iPads or Samsung Galaxy Tabs. TabLines features special models as individual mounts and protective cases. Customized or serial fabrication can also be implemented with the in-house production. The products from TabLines are used at home, in companys, hotels or in conference rooms. Grab your first TabLines-product! You will be delighted! If you have questions, you are welcome to contact us, we advise you competently and without obligation! If the desired product is not available, we offer an individual production. With the own in-house fabrication single as well as series productions can be made. Even after the delivery, you can address yourself to us! Find your suitable retailer and/or online-shop for products from TabLines near by! For sure, we advice you on the telephone!